Not much happening on the sewing front. We have been busy with the preparation and celebration of my son’s birthday. He turned 6 this week! He shares a birthday with my grandmother, so it is even extra special. Also, my grandmother (same one), suffered a heart attack a couple of weeks ago – and due to her age (she turned 88 this week), they were able to treat with medication and send her home after a few days in the ICU. She seems back to her old self, but we know now that she has two large arterial blockages in the heart which will not do her any favors if another small blot clot comes floating along. Thanks for visiting and being patient during my absence. 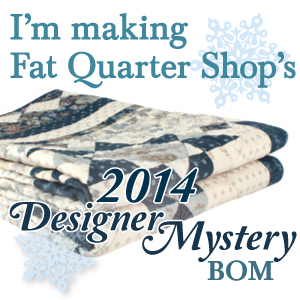 I have the top and bottom borders to put on Nora’s quilt (FQS 2011 Designer Mystery quilt & finishing kit). I’ll share pictures of that this weekend. Going to try and FMQ it before Christmas and give it to her as a gift. Haven’t worked on much else lately.